Kiosk Account: The computer in LAC 243 has a kiosk account. Simply restart the computer to automatically log into this account. Wireless Presenting: Wireless presenting from your laptop or mobile device is enabled in this room. On the desktop double click the Solstice program and then follow the onscreen directions. 1. 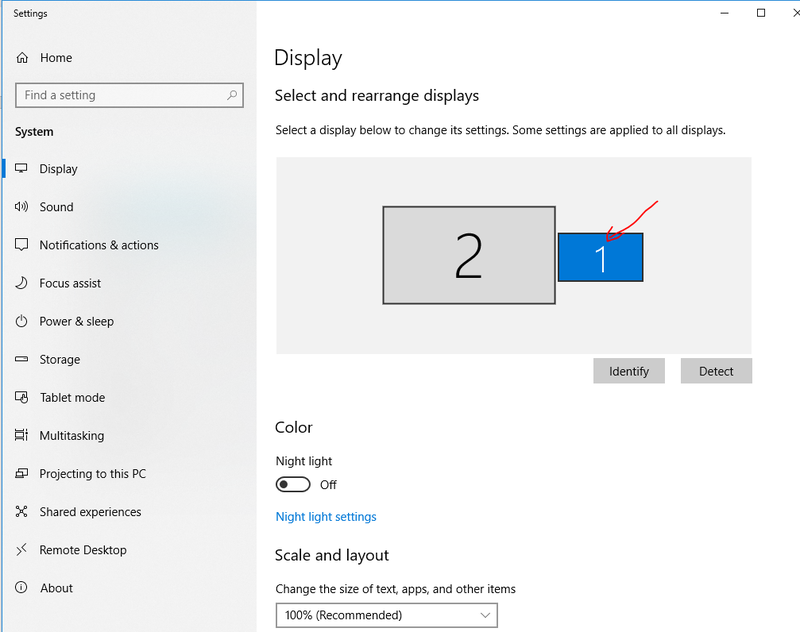 The kiosk account default display settings have the PC monitor as the primary display (1) and the wall mounted TV as the secondary display (2). 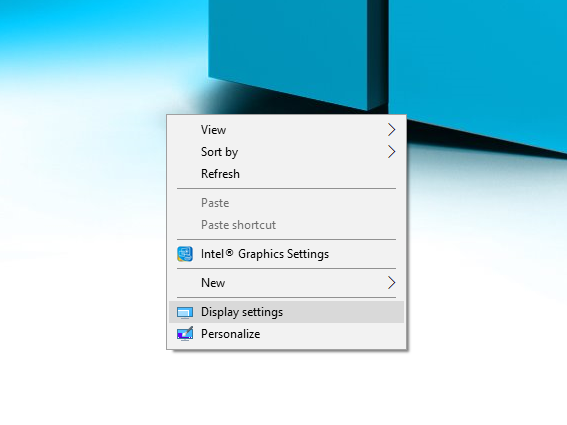 Windows can be dragged from the PC monitor up to the wall mounted TV by dragging them to the left. a. 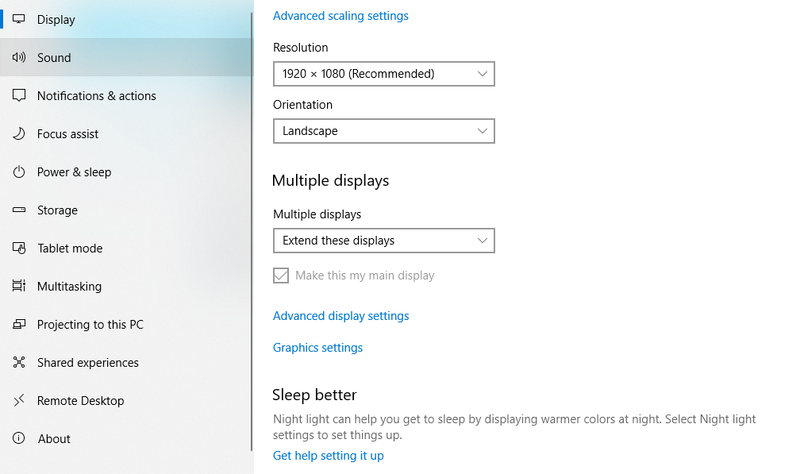 Right click on the desktop and select "Display Settings"
c. Under Select and rearrange displays, drag the small "1" to the right center of the large "2" monitor. 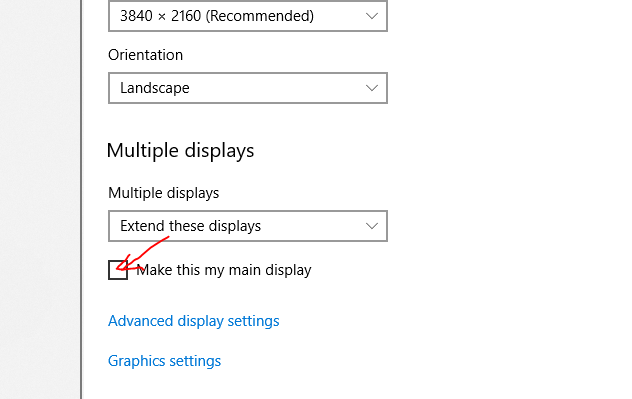 d. Click on the "1" display and under Multiple Display click "Make this my main display"